Tell us about journey in the Sales Technology industry. What attracted you to be a part of Stringr? I moved into selling technology as an extension of my previous experience and background so that I can be more well versed across all the sectors of our industry. Stringr’s deep technology offers a unique combination for content creators, and it’s the excitement of creativity as well as collaboration with the founders that lead me to Stringr. If not an Inside Sales company, which other area would you have made your career? Stringr is most definitely an external sales partner to companies. While so much of what we can offer can be accomplished through online demos and calls, building partnerships is very much an in-person endeavor. But if not for sales, I would have been a writer, actor or talent agent. How different is the Cloud-based industry for Marketing and Sales Technology products compared to other technologies, for instance, IT SaaS? The Cloud provides a unique ability for collaboration among multiple parties and offers a layer of creativity to the sales process. Tell us how you consume and promote content for Inside Sales practices. What is your advice to all the sales leaders in the community? I’ve always been an external salesperson, building relationships with customers, understanding their needs and having open conversations to understand how we solve them together. I really don’t look to sell anyone, I’d rather work with them on finding a solution to their problems. But every part of sales requires insides sales techniques to identify prospects, find new business leads, nurture those customers through the funnel for further conversation and collaboration. I understand the need for CRM and automated tools, but good conversation can’t be achieved through automation, so my advice is add personality to every part of the sales cycle. How do you differentiate Customer Success and Customer Experience? How have these definitions changed in the past 5 years with Inside Sales technologies? To me, Customer Experience is how we work with partners to achieve their goals. Customer success is what the client defines as their goals and desired outcome. The experience leads to success, and so the Inside Sales approach is extremely valuable into creating long-lasting positive results. How do you enable your customers to benefit from your Sales Technology and solutions? We provide our customers with solutions to help them drive their video content. The unique part of our technology is that it provides on-request access to over 75k videographers across the country to capture any video, anywhere, anytime. What are the core strategies you focus on at Stringr for global business development? How does it impact your customer experience initiatives? We want our partners to truly see the value in our product, so we provide the opportunity for them to test it out. Give it to their teams to really put the test to make sure it meets their needs. This provides tremendous value for both the partner and for us, as we can determine the right level of activity moving forward. What is the current state of “world-class sales practices”? Could you elaborate with some examples? The internet has provided us with tremendous information. It’s so important in our business to take time to do a little research on the company you are trying to work with, as it will make the initial outreach and conversation more impactful. If you turn them into a customer, it’s equally important to keep up to date on information. But to be a world-class sales organization you have to provide value to the industry regardless of if you land the customer or not. Be active in the community that you are working in — continue providing insights, articles and interesting ideas to your network. Understand the bigger picture and help in any way you can. I think it’s important to build a team that is passionate about the industry they are part of. Everyone in the organization is a salesperson. It might not be their day-to-day job to seek out, meet with clients and sign deals, but to understand the product and be able to tell the story of why we exist, what problem we solve, and how companies can use us. 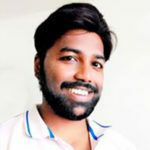 How do you achieve this culture balance at Stringr? What percentage of this is driven by the application of technology, reporting tools and coaching? Everyone at the company has an extremely important role when it comes to how we work with partners. While not everyone works directly with clients, it’s important they understand the value of their work and how it feeds into the success of the business. What are the major pain points for sales-driven companies in leveraging Customer Experience technologies for their own benefits and for business development? I think you lose a level of personal touch and connection when leveraging technology for any type of customer interaction. What are your predictions and observations on the “Role of Chatbots and AI Conversations” influencing CX-driven sales journeys? The technology has gotten so much better over the years and I can imagine it will only get better. I think there is a tremendous upside to using technology in these areas, but there should always be immediate access to a human. Be part of a team that supports you, that you can collaborate with and that will take your feedback from conversations you are having in the market. Thank You, Drew. We hope to see you again, soon. Stringr is an innovative platform that allows media organizations to browse, request and purchase video from a growing network of 60K contributors. It is the largest contributor network of its kind and provides a simple solution for outlets seeking videos. 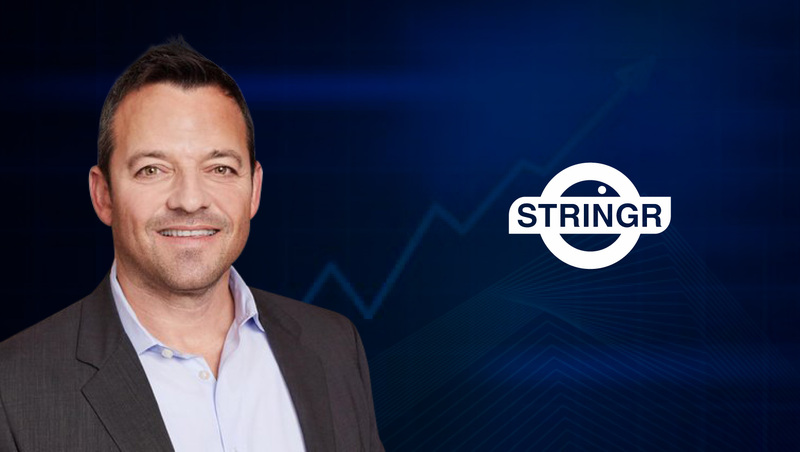 SVP of Sales at Stringr, Drew Berkowitz is a strategic and creative revenue leader, providing insight and industry perspective, generating new revenue streams, increasing awareness and partnerships across brands, agencies, platforms, publishers, creators and more.